Recreation development is one of the services M2Leisure offers within the professional branch of the leisure and resort industry. We have specific expertise in resort development, family holiday park development and water park development, but also hotels, restaurants, outdoor activities and other leisure facilities. We can do complete turn-key recreation development or we can assist in a specific phase of the development. No matter what type of project, with our dedication and passion, we relief you from any concerns. Unique in the recreation and leisure industry is that we manage the complete recreation development from begin to end. This is called turn-key development. 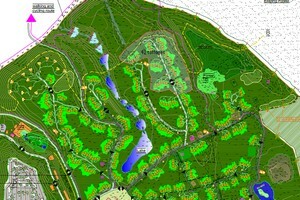 In order to develop, open and operate a (large scale) recreational facility we carry out all of the steps: including site selection, master planning, feasibility, business plan, concept development, construction coordination, complete installation, pre-opening planning, training and post-opening operational support. As a recreation developer we continuously work on our portfolio. We have projects worldwide, including in the The Netherlands, Bulgaria and Germany. So if you are looking for a recreation development company to support or grow your organization, do not look any further and contact us for more information!